Betta Fish are often referred to as Siamese Fighting Fish and people sometimes wonder why. 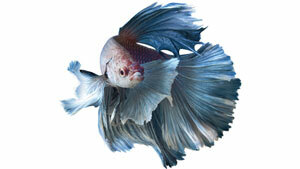 Other people who know them as Siamese Fighting Fish wonder why some call them Betta Fish. The common name given to them; ‘Betta’, originated from an ancient warrior clan called the ‘Bettah’. Along with being named after a warrior clan, local people in Thailand refer to them as ‘Ikan Bettah’. In Thai, ‘Ikan Bettah’ means biting fish which accurately sums up the behaviour of Bettas. This is how they have come to be known as Betta fish today. Other people refer to them as Siamese Fighting Fish. These fish became well known in the 1800’s, although well before then young children in Southeast Asia would attempt to catch these fish to fight another Betta. These fights would determine which Betta was titled village champion. Adults in Southeast Asia would also fight two Bettas against one other, although they would bet even their own homes believing their Betta would be titled champion. The people of Siam (later known as Thailand) would refer to them as fighting fish as they were originally bred for domesticated fighting. 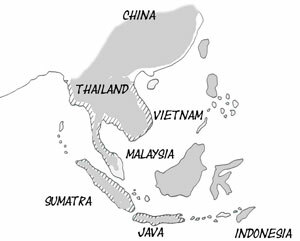 The first discovery of Betta fish was in Southeast Asia. Native to Siam (today known as Thailand), Malaysia, Vietnam, Indonesia and specific parts of China, Betta fish thrive in warm water. Bettas are predominately found within the Mekong River; a large continuous river running through numerous countries in Southeast Asia and the Chao Phraya river. They are used to living in small puddles once the rivers have dried up and over the years have adapted to this. They are also able to miraculously jump from a smaller puddle back to the a main water body if need be. It is here in their native countries that the Betta fish developed into the labyrinth fish we know today. 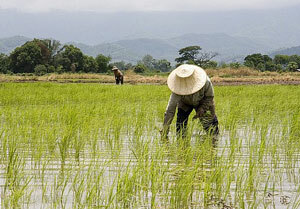 The droughts and shallow waters of the rice paddies/drains enabled them to adapt to be able to breathe oxygen through their gills as well as air directly through their mouth. The Betta’s original conditions have allowed them to be able to handle living in smaller water quantities compared to other species of fish. The original Betta fish were dull in color unlike the multitude of colored Bettas we see today. They would not vary much in color, being either a dull green or brown. Today we are lucky enough to see a large variety of colored Betta fish in local pet stalls and aquariums. In fact, Betta Fish are one of the oldest known freshwater fish to be kept in aquariums along with their close relatives the goldfish and paradise fish. Within their native countries, Betta Fish thrive in still or slow flowing waters that have great amounts of foliage. The dirt at the bottom of the rivers and paddy’s does not worry them. The water in their native countries is warm year round so naturally they do best in warm water in aquariums (75-82 degrees Fahrenheit). Within the Betta Fish natural habitat they thrive on a variety of insects. Known as omnivores (eating of both animal and plant), the diet of these fish in Southeast Asian Rivers and Rice Paddy’s consists of the larvae of flies and bloodworms, flying bugs that land on the waters surface, plant fiber and the remainder of insects (which is where they get the fibre they need from). It is important if you have your own Betta to offer enough fibre in their diet as they need this in their digestive tract to avoid constipation. Betta fish were not always known worldwide. It was not until the 1800’s that the Betta fish made a global appearance. Betta Fish today can be found in Columbia, Brazil, Singapore, Japan, Thailand, Indonesia, Malaysia, Philippines, France, Germany, USA and Australia. Today, Betta fish are the most popular fish to breed in both the United States and Japan. Commercial breeding of this species is also very profitable in Singapore and Malaysia. 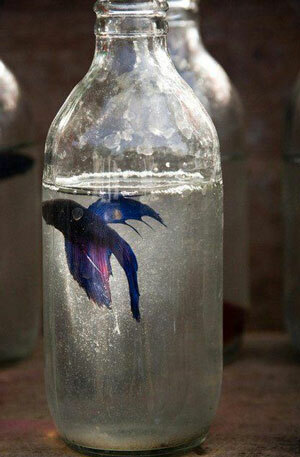 Several pairs of Betta fish were sent to Germany for breeding purposes. Mr Frank Locke, a Californian man imported multiple pairs of Bettas in hope of breeding them. One of the Bettas he imported had vibrant red on it’s fin. Pleased, Mr Locke named thought this was a new species and named them ‘Betta Cambodia’. Unknown to Mr Locke, these fish with added colors had gained these characteristics through the breeding process and was actually a color mutation not a new species. 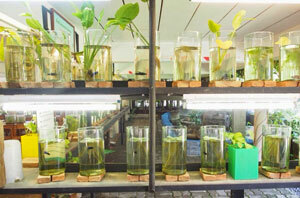 In Bangkachao, Samut Prakan in Thailand they have recently opened up a gallery for Fighting Fish. This museum is currently free to enter and has both indoor and outdoor exhibits. In Thailand, Siamese fighting fish were often kept in small glass jars as they could be transported to the place in which they would fight. Siamese fighting is not common in Thailand today. Why were bettas brought to France in 1892? @Fin, I don’t know if there was a particular reason for it. Soon I will be looking to take on cambodian fighter plakat bettas. I’m breed a pair of fighter plakat bettas they will have lots of babies onece they are mid adult I will separate them to start their stamina training they will already know how to fight so I don’t meet to train them for that. I will send 3 to Cambodia for fighting mine will fight for 7 to 8 hours plus they fight style is like boxer MUHAMMAD ALI Cambodia plakat bettas fight like sloppy boxer georde chuvalo. Mine are 20* champions. I mean to say I don’t need to train them. NO Cambodian plakat fighter bettafish can win against my 20* Thai fighter arena plakat bettafish plus my Thai fighter arena plakat bettafish fight for 7 to 8 hours. Cambodian plakat fighter bettafish can be champion but they will be 7*,6*,4*,and 5, champions only against other Cambodian plakat fighter bettafish arenas that’s the lane they should stay in if Cambodian plakat fighter players step into my lane their Cambodian plakat fighter bettafish will lose. My fighter plakat bettafish will be the newest generation of THAI FIGHTER PLAKAT BETTAFISH called (20* MUHAMMAD ALI STYLE FIGHTER PLAKAT BETTAFISH.) I’ve studied them and they will 30-0 in fight wins. as for Cambodian plakat fighter bettafish they will be 7-1 loss cause their genes are not wired like a pure THAI FIGHTER PLAKAT BETTAFISH is. Cambodia plakat fighter bettafish fight style is like boxer Oscar bonavena and boxer Brian London. that’s why I said Cambodia should breed their Cambodian plakat fighter bettafish with plakat fighter bettafish siamorienalis but tharpey can’t fishy a thai fighter plakat bettafish the must fight with other Cambodian plakat fighter bettafish that way their fighters will win more like 8-0 wins.